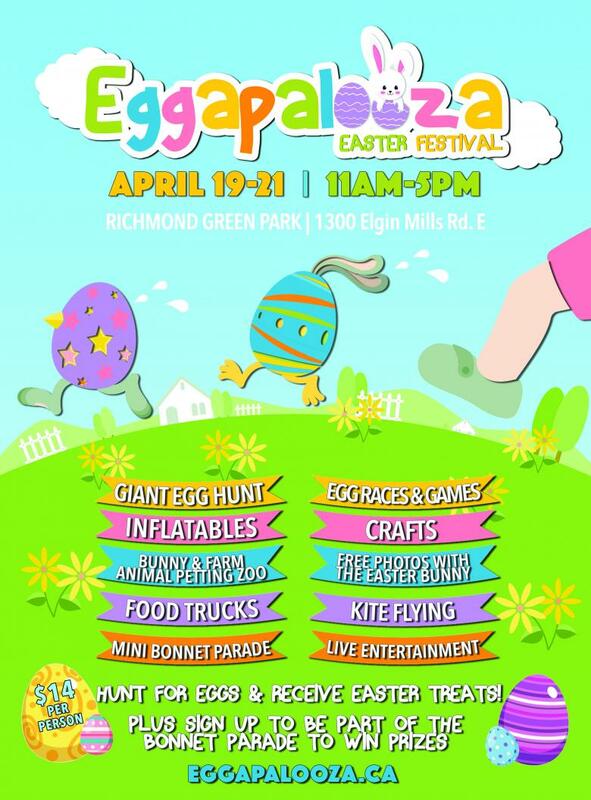 Eggapalooza will take place Easter long weekend, April 19-21, 2019 at the Richmond Green Park. 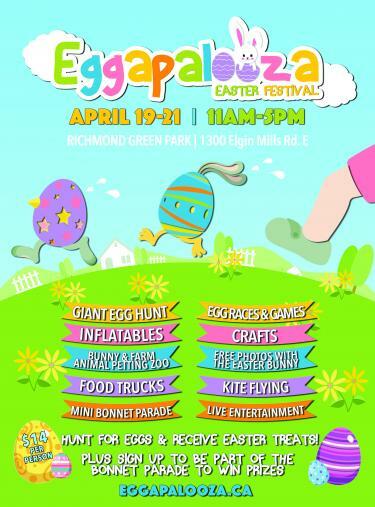 The event will feature an organized Egg Hunt, inflatables, train rides, petting zoos, photos with the Easter Bunny, a mini bonnet parade, a kite flying station, a stage with organized games and entertainment, and a creation station where guests will be able to make and take crafts. The egg hunt will feature stations where you will need to hunt and search for eggs to collect enough to claim your Easter Treat bag! Additionally, a FIRST of its kind in Canada – the festival will also feature an egg hunt for visually impaired children. Visit us online to purchase tickets and for more information!